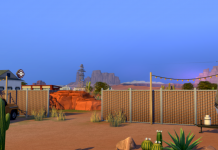 The following article contains spoilers of the storyline in StrangerVille Game Pack. 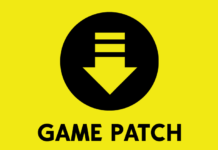 Although some plotlines are of original creations, all turning points were directly extracted from the game. 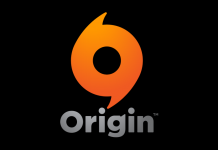 Readers who do not wish to know about the game’s storyline are advised to turn away from this article. 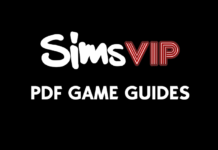 Wait, you haven’t read Part One yet? Go there first! I found out that there’s a souvenir stand, the Curio Shop, near the caravan park this morning. A kid called Erwin works in that shed, selling knickknacks that would probably interest the wildest of conspiracy-theorists. 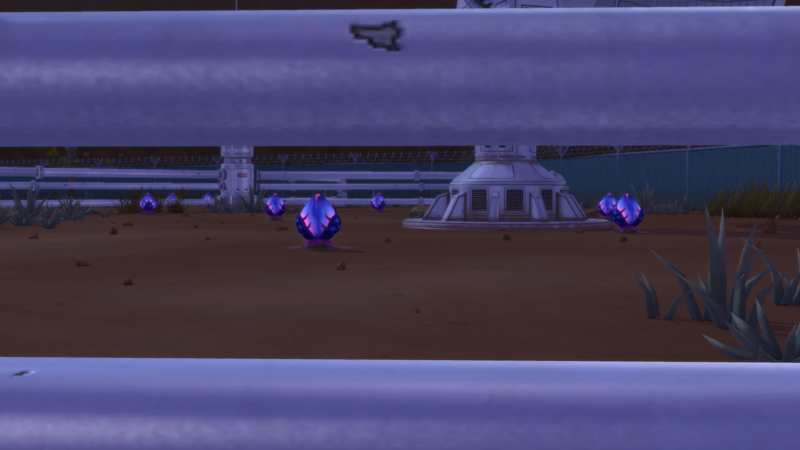 During a chat with him, I learned that the Military scientists were working on something in the crater, but now “they’re all hogging the archive inside the town hall.” He also mentioned some old man by the name of George Cahill, living in the remaining body of a crashed plane behind the Curio Shop, who might hold some useful information. I spent the afternoon visiting George. He seems like a friendly sim, albeit a bit paranoid, I might add. He refused to exit the plane wreck in broad daylight. Amazingly enough, though, he built a bunker home underneath the crash site. Apparently, George used to be a pilot—the pilot of this crashed haul plane, Penelope. 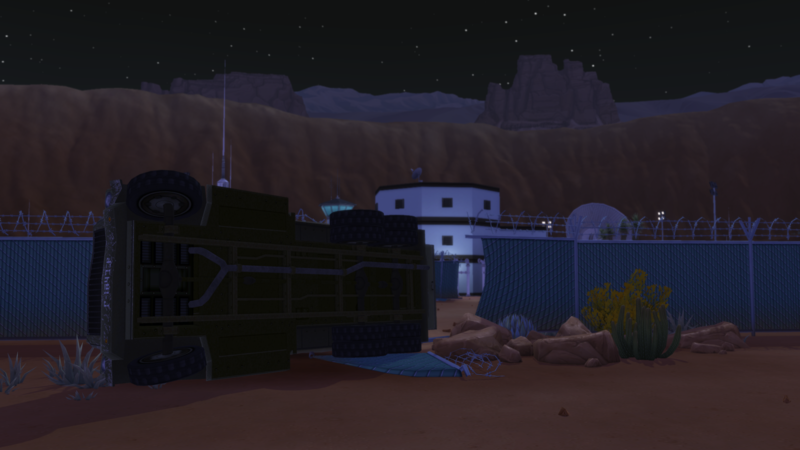 He crash-landed in StrangerVille around two weeks ago. He told me that he saw a strong, bright light coming from below; then, everything electronics on the plane were fried. Had he not been an experienced pilot, George couldn’t have survived that incident. Leaving his shelter, I looked around and did a measurement myself. It looked like he was flying across from the direction of the crater. Curiosity grew even further… I must go and check out what’s going on there. On the way home—can’t believe I’m calling this wooden box home—I stumbled upon one of the bizarre plants Erwin was talking about. 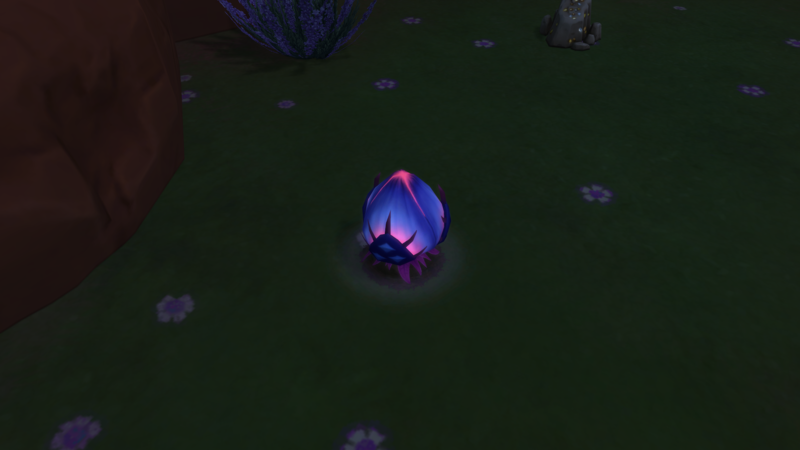 It has a rhythmic purple glow like it has a pulse or something. I took a quick snapshot of it. I spent all day yesterday rummaging through books stored in the local town hall. Quite boring, actually. There were quite a number of scientists going in and out of there. Incidentally, during a bathroom break, I found out that they were all inside an authorization-required archive in the basement. 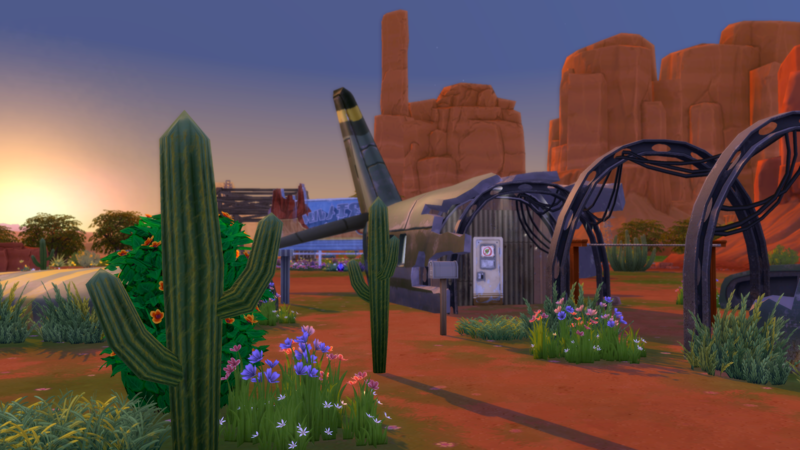 After reading old newspapers and a few books with absurd claims, all I know is that StrangerVille was founded by the current mayor, Ted Roswell, who was in of the strange welcome wagon the other morning. Some folk has written to the local newspaper about seeing eerie purple light coming off from the crater ever since the Military built a lab researching the crater. Today, other than compiling what I have at hand, I’ve been probing around at 8 Bells. A low-ranked soldier, Jess, told me not to go near the base area after learning that I am a journalist. She lives with her husband and daughter near the town center. “We’re always doing exercises and drills; you might end up hurt,” she warned me. Before entering the house tonight, I looked over to the old petroleum field. 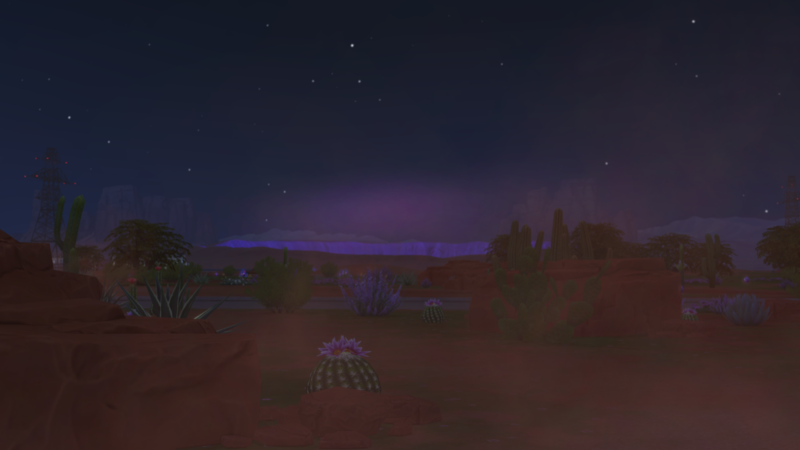 Umm… there indeed is a purple mist floating above the crater. Purple… everything seems to be connected. I have to get into that laboratory, but right now I’ll just turn in for the day. Ps. : I came back because I must note what I’ve just seen down. I lied on my bed for a few minutes and heard giggles coming from the outside. Looking through the window, I saw Jess wandered across the caravan park in that odd walking style. Her limbs stretched to impossible poses and angles, and she stomped past slowly like a toddler learning motor skill. She appeared to be going in the direction of the old oil field. Unnervingly, he did head toward the laboratory but never came back. Right now, I’m going to catch some sleep. I’ve decided to head there at night so that I have darkness as my cover. Oh. My. Plumbob! This story is huge! I cannot believe that the Ministry of Defence has been hiding this for more than two weeks. 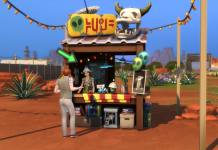 Or maybe it’s that the StrangerVille National Base never reported it above the chain? It’s 05:26, and I just came back home from the lab. Good golly, climbing that crater was not an easy feat. Sure am I glad that I used to hit the Burners & Builders after work. Dodging the searchlight of the main gate, I did a reconnaissance from the edge of the crater hill. 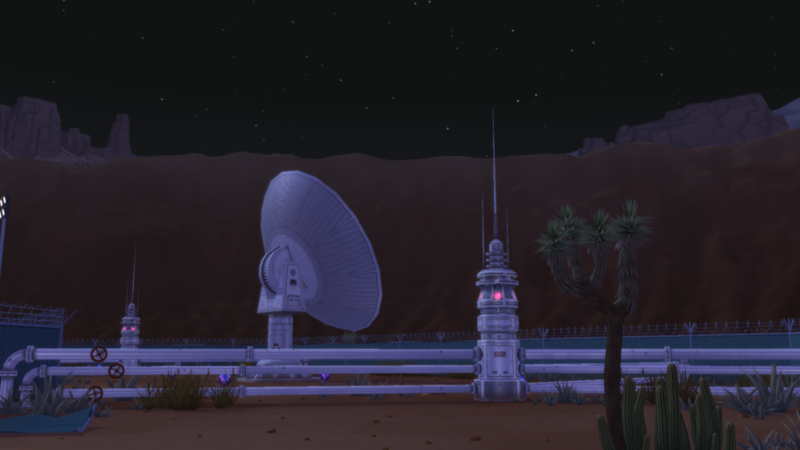 From the outside, the facility looked like it was built for galactic research, with multiple antennae and satellite dishes surrounding the compound. 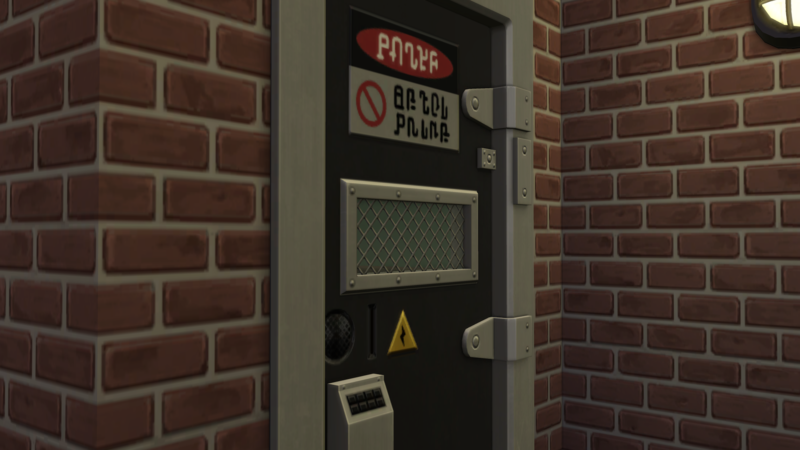 The lab seemed like it’s still operating because I could hear sounds of machinery running. There was a section of the outer fence broken at the back of the compound. It was obviously damaged by a military truck—now tipped over by the side, its driver long reaped into the Netherworld. More bizarre plants are growing inside the crater valley. Getting into the building was relatively easy. Surprisingly, the backdoors were not locked. No one was on the first level; the inside of the laboratory was a mess. With this and the toppled truck, I came to the conclusion that the personnel working there must have evacuated frantically. Linking that to the “incident” Erwin and George mentioned, something grave must’ve happened that three weeks ago. Shortly later, I came upon a gate in the concourse. It was electronically locked and required a keycard pass to open. Looked like there was nothing I could do to forcibly open the gate, so I started to rummage about the folders and papers tossed about the facility. 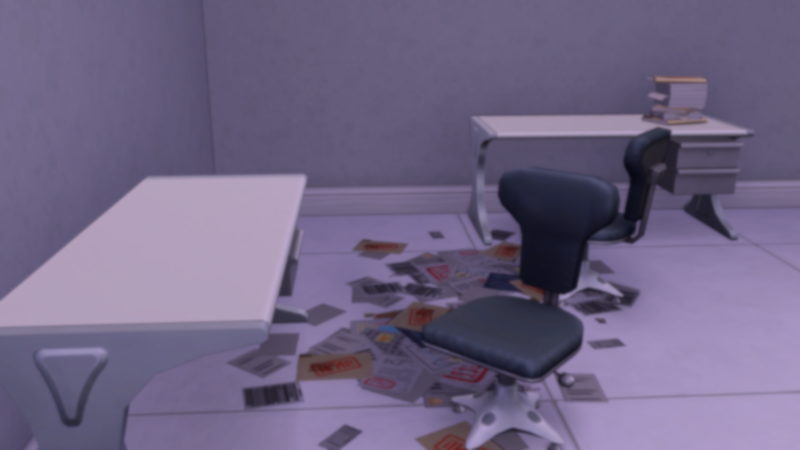 Many of the files I found were redacted. I will begin to decipher them after finishing the log of the day. Also, I found several aerial photos of the crater and the petroleum field and a sealed, label-less packet of plant seeds.